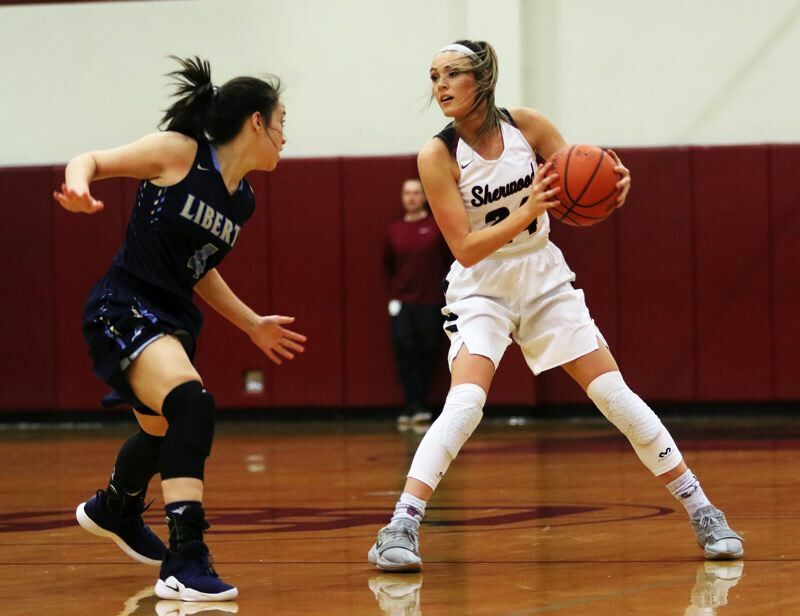 SHERWOOD — The Sherwood High School girls basketball team has high hopes for its first-ever season as a member of the Pacific Conference. 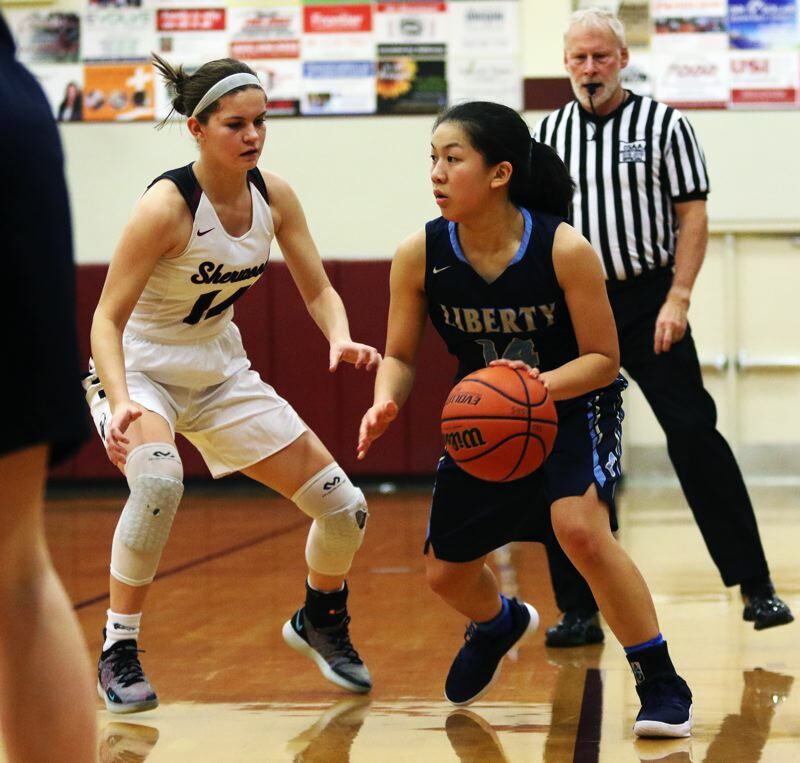 Sherwood, playing in its first Pacific Conference contest, came away with a 43-33 win over Liberty in a conference opener played Wednesday at Sherwood High School. "The league title's been a goal since the beginning of the year. 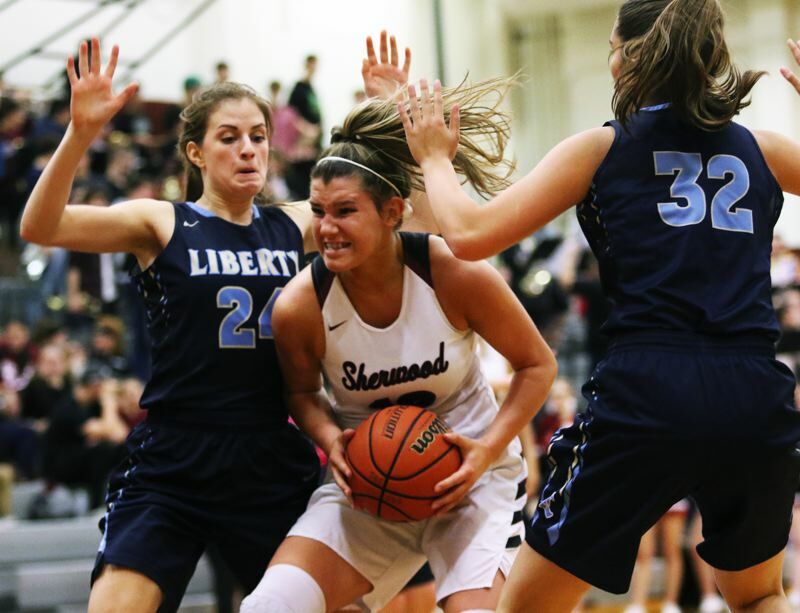 It's been a goal since we found out we were in this new league," said Sherwood senior Aubrie Emmons, who led all scorers in the contest with 17 points. "This first game was super important. Our mindset is to win the league championship, so this game was important to set the tone for the rest of the season." "It means a lot," Emmons said of the win. "The past few years, we've been in a tough league (the Three Rivers League), and it's been just a grind every night. So, being so close last year, this year we said 'we're just going to get it,' and we've got one up on the board." 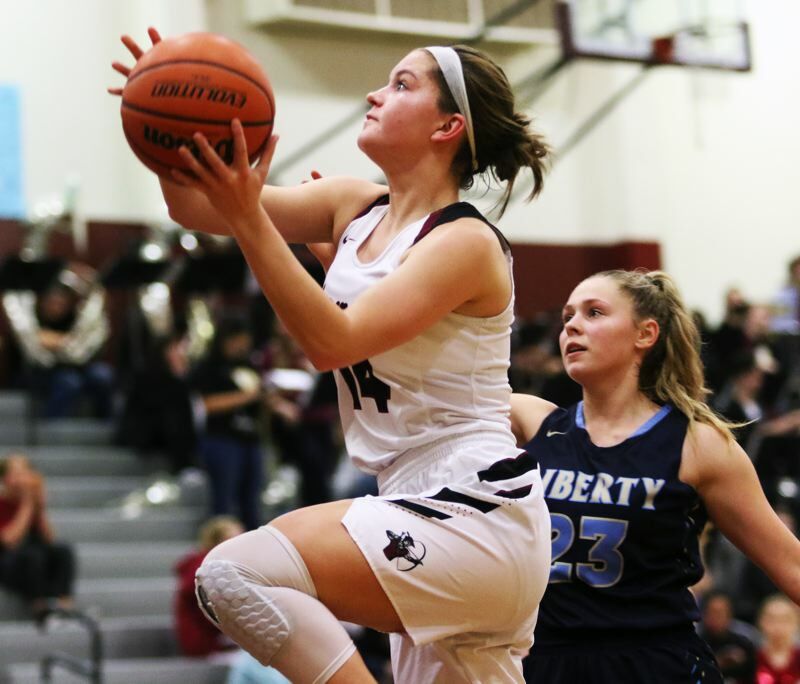 The Lady Bowmen then seemed to turn up the defensive intensity even more in the second quarter. The Falcons missed their first seven shots from the field in the period. 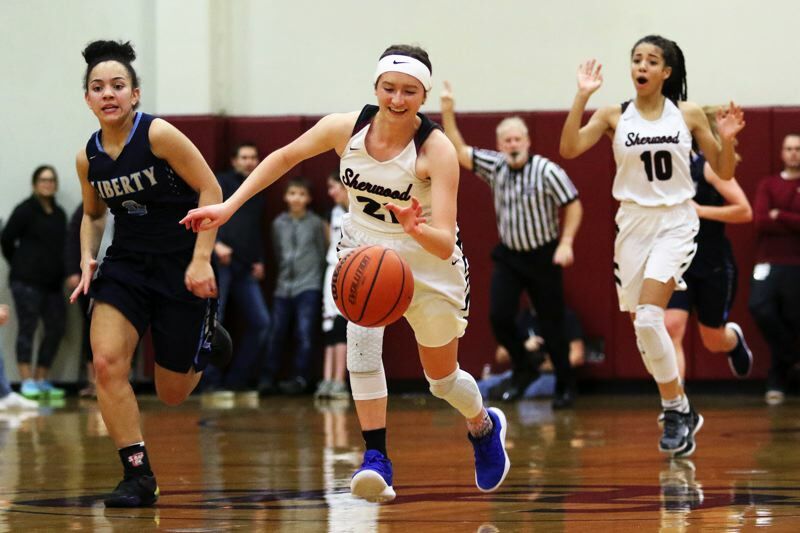 Meanwhile, Sherwood went on a 9-0 run, which included a pair of baskets by Emmons, one each by Verkamp and sophomore Joley Sproul, and a free throw by Cooke, giving the home team a 16-3 lead with 2 minutes and 55 seconds left before halftime. 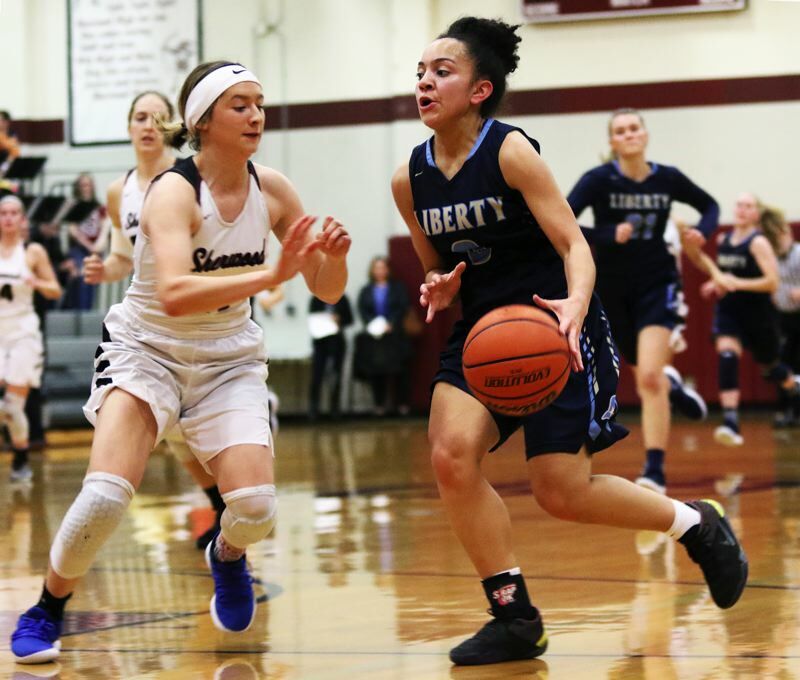 Liberty opened the third quarter with a 3-point basket by sophomore Livia Knapp. But the Lady Bowmen answered in a big way. 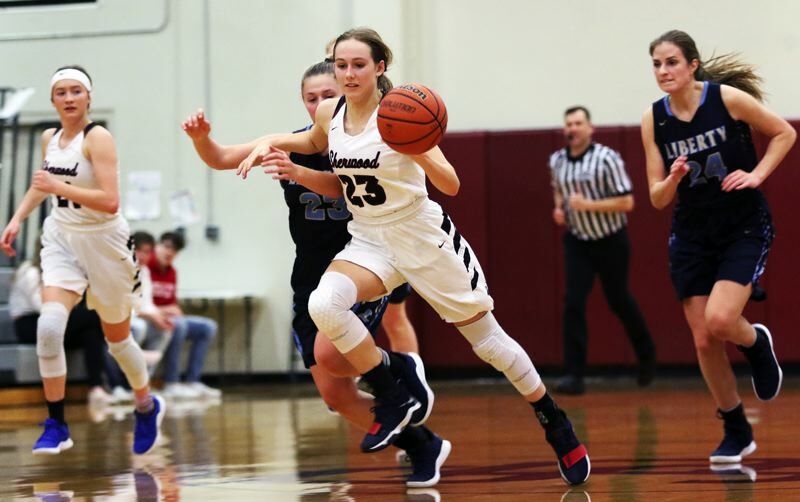 A follow-up basket by Sherwood sophomore Kylah Williams ignited an 11-0 run, which included four straight points by Emmons and back-to-back baskets by Verkamp, giving the Lady Bowmen their biggest lead of the game, at 31-11, with 3:27 left in the period. "We definitely planned for them a lot on the offensive end," Verkamp said. 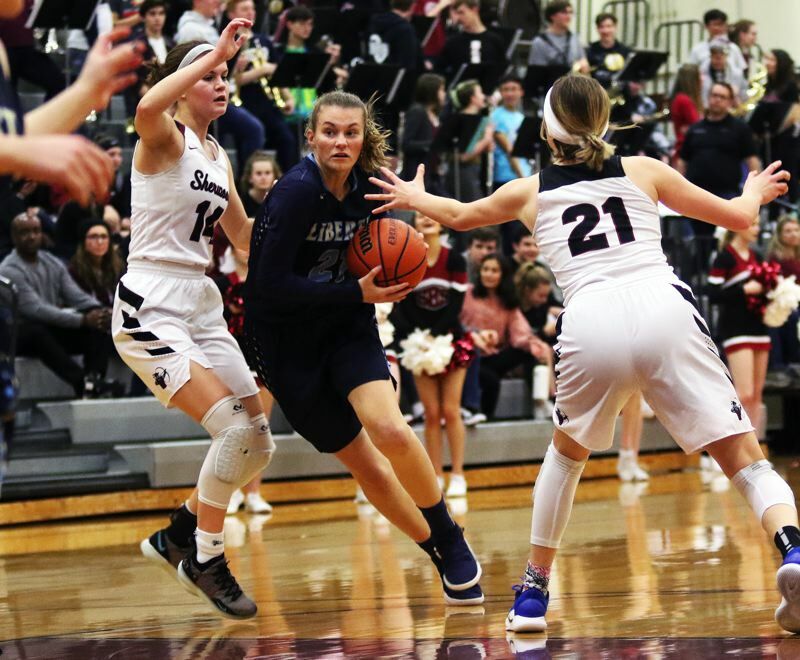 "On the defensive end, they were just in the spots where we always practice, and where we work to be, so the offense they were running just fit perfectly with our defense. We worked really hard and were able to get to all of our spots." "We thought they'd come out with some offense we didn't know, but they were right in our spots, so we said, 'OK, here we go,'" Emmons said. "This was so fun. We didn't end it like we wanted to, but we know we started off strong." In addition to her game-high 17 points, Emmons also had three rebounds and two assists in the victory. 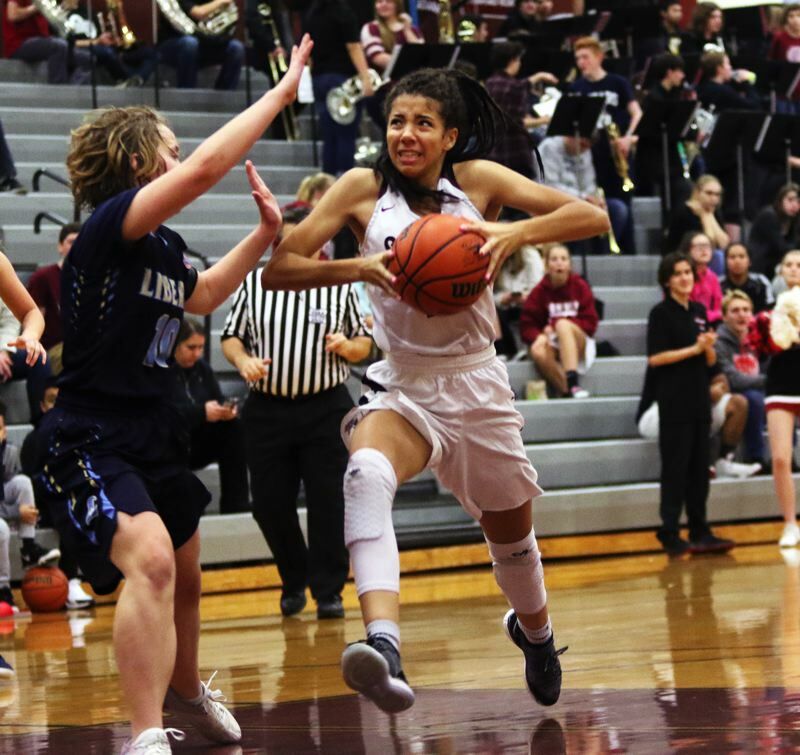 "I've been trying to work on more than just shooting threes, I've been trying to get into the paint," she said. Verkamp got six of her eight points in the second half. Cooke had seven points, 12 rebounds and four steals. 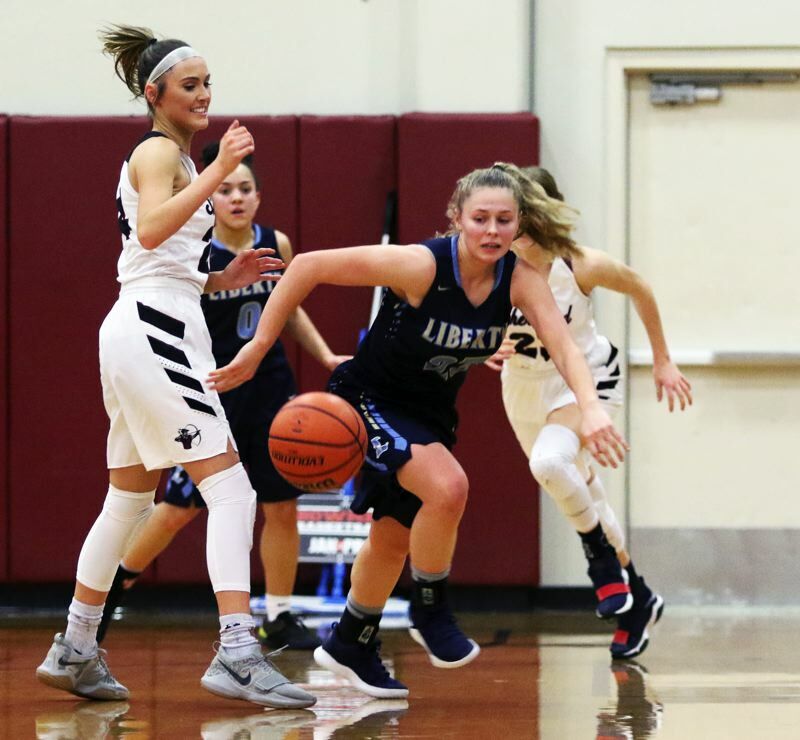 Boughey had six points and three steals. "I had a lot of fun, and I think everyone did," Verkamp said. "Our heads weren't in it the first three quarters," Robbins said. "In the fourth quarter, we finally got an urge to change the game. We just got angry. We thought there were a few things that shouldn't be happening now."